This photoshoot took place on the most beautiful summer evening. 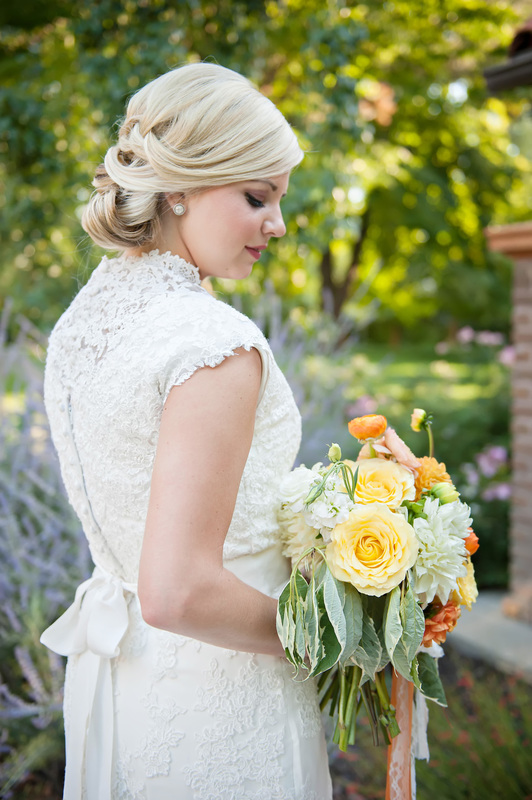 The bride, makeup, photography, flowers, and location were all perfect for each other. Looking back through these photos makes me wish for sandals and freckly skin, basking in the sun, and a sip of lemonade. If you're looking for wedding colors, might I suggest this fun citrus palette?! 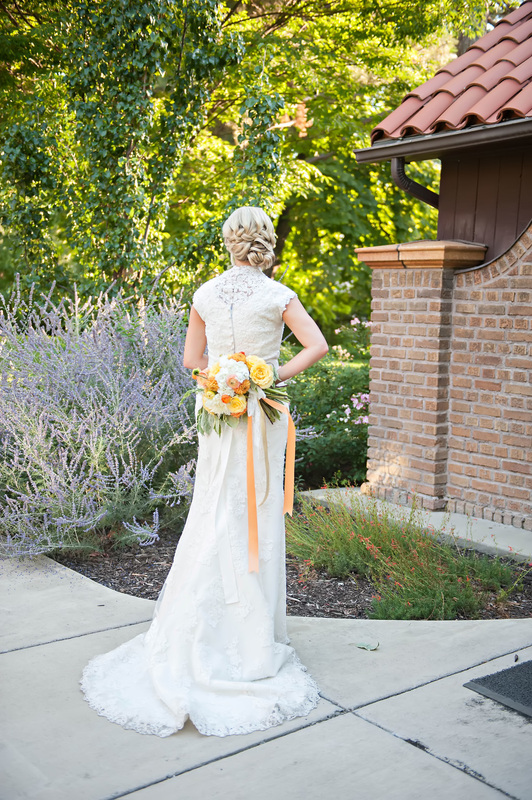 Yellow, white, and orange are an awesome mix for summer and will give a fresh, clean feel to your wedding. The blooms used in this bouquet are dahlias, roses, ranunculus, and hydrangea, complimented with variegated dogwood greens. Photo credit goes to my girl Brooke Bakken, with hair and makeup by Lindsay from Signature Brides. Working with these ladies was a dream, be sure to keep them in mind for your big day!